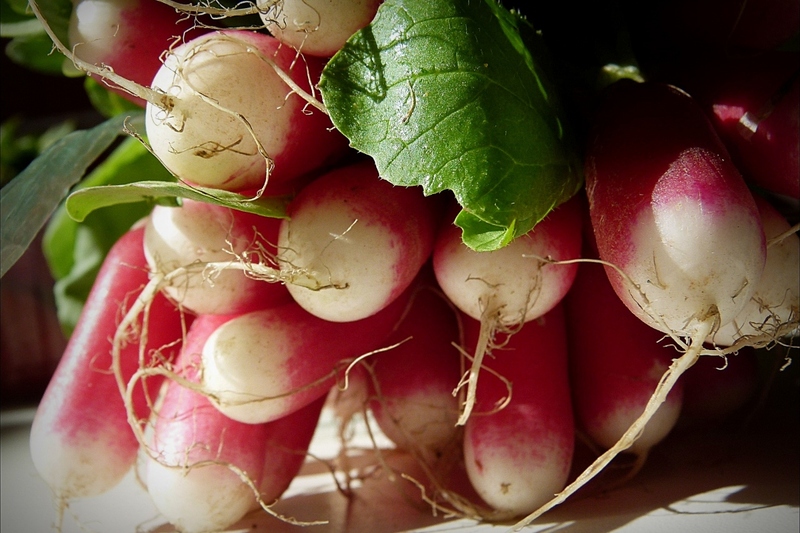 Radish ‘Flamboyant’ (Raphanus sativus 'Flamboyant'): growing, planting, caring. French heirloom, suitable for growing all year long or almost. Cylindrical roots with attractive rose red skins and pure white tips.